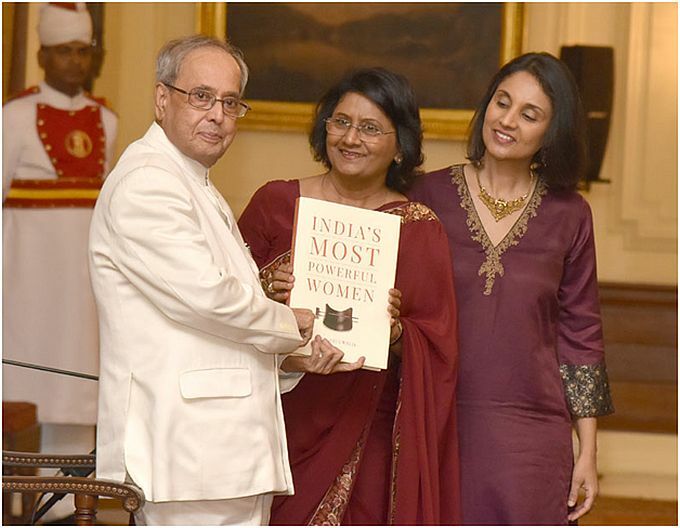 New Delhi (IAIJ): The President of India, Mr. Pranab Mukherjee received a copy of a coffee table book ‘India’s Most Powerful Women’ at Rashtrapati Bhavan on July 28. The book has been written by Mrs. Prem Ahluwalia. 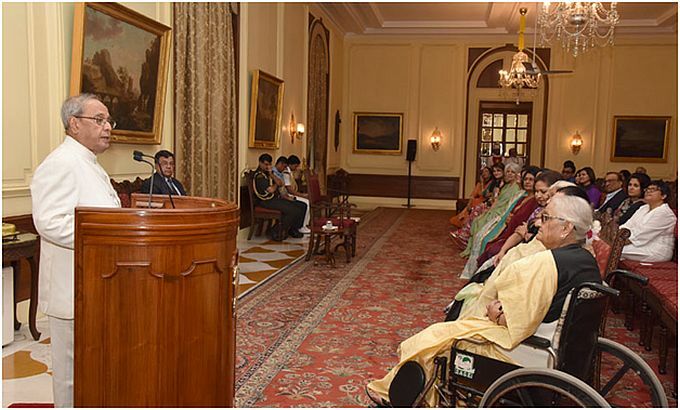 Speaking on the occasion, the President congratulated Mrs. Prem Ahluwalia, the author of the book for making an attempt to recognize the contribution of women in India through her book. He expressed hope that the objective of the book and the stories of its women reach every young mind and inspire them to move towards a progressive society. He said that the book will also serve as good source of research for researchers and analysts. The President stated that the women in the book have performed with distinction in their respective fields and have carved out a place for themselves through their competence and merit. The nation is indebted to them and can never forget their contribution. He said that women have made their mark in various fields such as industry, politics, trade, business, etc. and have shown exemplary determination and power of analysis to arrive at correct decisions. Dr. Najma Heptulla, Member of Rajya Sabha also addressed the gathering.